As an inhabitant of South Wales with a fascination of local history, I found this book truly enlightening. I was aware of the links King Arthur had with local places such as Caerleon and I found that this book built well on the histories I had already heard. To learn about the suppression of British history at various times and how our Roman-centric history is currently favoured was truly a shock. 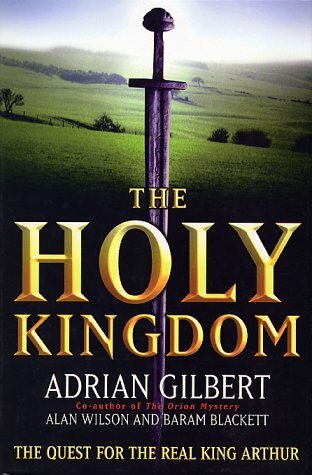 It was nice to see how Gilbert linked up with two serious scholars of early British history and the story that was presented is quite believable and realistic, if at times it sometimes could be found guilty of over-reaching conclusions, perhaps being over-dramatic. I've read other books by Adrian Gilbert and enjoy his style and he always covers interesting topics. The whole story of Arthur is fascinating and has intrigued me to study the legends more. I think the conclusions were a little weak, and find the Joseph of Arimethea links with Britain a little too speculative. It's a great book and is one that I will be sharing with other friends interested in Welsh history. Sign into Goodreads to see if any of your friends have read The Holy Kingdom.